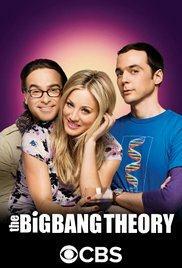 The Big Bang Theory Season 1-11 DVD Box Set:The gang prepares for Leonard and Penny's second wedding ceremony. Sheldon and Leonard fear that Mary slept with Alfred the previous night, though they swear nothing happened. They do, however, plan to visit each other, irritating Beverly. Penny's family arrives. Her mother worries that her son's recent jail stint will cause Leonard's family to think of them as white trash. The ceremony goes well, with Leonard and Penny declaring their love for each other, Beverly and Alfred grateful they at least made Leonard together during their relationship, and Sheldon declaring his love for the couple. Howard is contacted by Colonel Richard Williams of the Air Force Research Laboratory, who scares both him and Raj. Howard eventually agrees to meet him, but the colonel refuses to give the reason for his interest.The Big Bang Theory Season 1-11 DVD Set Leonard and Howard worry the military might try to take over the guidance system project for weaponry, but Sheldon does not. They make him promise not to talk during the meeting with Colonel Williams. The Colonel is impressed with Howard as the main brain behind the project, making Sheldon squirm. The military wants a smaller version made, perhaps in four months. Sheldon, no longer able to contain himself, promises to have it in two. Though the others are angry about such a tight deadline, they all have fun with their new lab's retinal scanner. Meanwhile, the pharmaceutical company employees have found out Bernadette is pregnant, infuriating her as they might take her off the next big medical project. Penny admits she was the one who let this slip. Bernadette forgives her because she intends to threaten her boss with a lawsuit if she is taken off the project.